It’s fitting that Neil Jordan’s “Greta” had its Toronto International Film Festival world premiere on Thursday at the Ryerson Theatre, because that venue is home to TIFF’s Midnight Madness section devoted to horror, sci-fi and all things genre. And while “Greta” isn’t actually screening in that section of the festival, it’s definitely the midnightiest thing that the Irish director has ever made. And while the film wallows in the kind of silliness that makes you wonder just what the heck Isabelle Huppert is doing here, by the end it supplies an answer: She’s having fun, dammit, just like the audience at the Ryerson did. 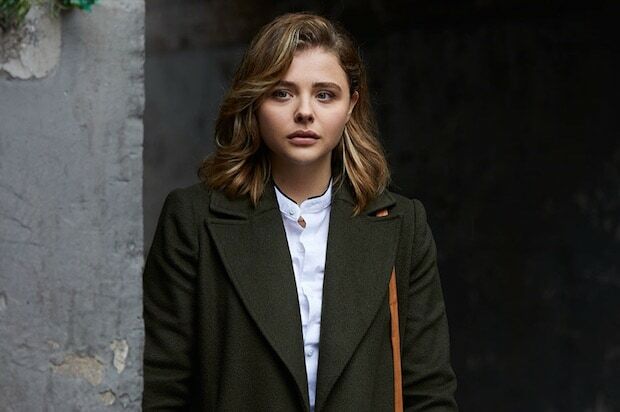 In “Greta,” Chloe Grace Moretz plays a young woman trying to survive in New York City soon after the death of her mother. She does a good deed that places her in the orbit of a recently-widowed pianist named Greta, played by the unstoppable Huppert. And from there, things get stranger and more sinister for a while, before the extent of Huppert’s craziness is unveiled and the whole thing descends into a mess of horror-flick cliches whipped into a frenzy by a skilled director who figures that if you’re gonna do schlock, you’d better do it big. Also Read: 'Climax' Film Review: Is It a Movie, or an LSD Trip? In other words, “Greta” is not a high-class riff on the stalker movie — for that, you can always go back to Cate Blanchett and Judi Dench in “Notes on a Scandal” — but an occasionally high-class director riffing on the genre. And while it sometimes feels as if it’s just not enough fun, once you get to the twin switcheroos and then the insane ending, you have little choice but to buy into horror-audience protocol and embrace it for the bloody hoot it is. Now in her mid 60s, with more than 100 film performances behind her, Huppert has hardly slowed down; in this decade alone, she’s appeared in more than three dozens films, including such notable entries as “Amour,” “Claire’s Camera,” “Louder Than Bombs,” “In Another Country,” “Things to Come” and “Elle,” for which she received her first (!) Oscar nomination. So while it might be a surprise that Huppert signed on, it’s hardly a shock that her Greta is surpassingly creepy. Moretz makes for an admirable (if occasionally dimwitted in that way that horror protagonists are) damsel in distress, while Maika Monroe as he skeptical roommate has some of the film’s most delicious moments. “Greta” certainly won’t go down as one of Jordan’s best movies, and it drew a share of groans as it premiered at TIFF. But like a true midnight movie (or maybe a midnight-ish movie), it’s messy, bloody fun if you let it in.